A flavourful and comforting egg dish that all ages would enjoy! 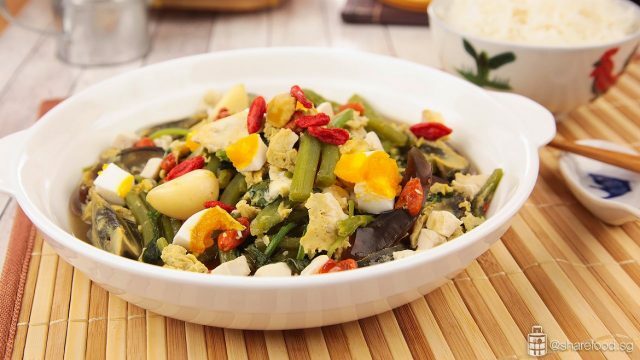 The Trio Eggs Spinach in Superior stock is a combination of century egg, salted duck egg and fresh chicken egg with Chinese spinach. This popular dish is commonly served in Chinese restaurants and local Tze Char stalls. The century egg and salted egg in the dish adds umami to the broth. Here's a tip, use Ikan Bilis or Chicken broth to give the flavour depth. 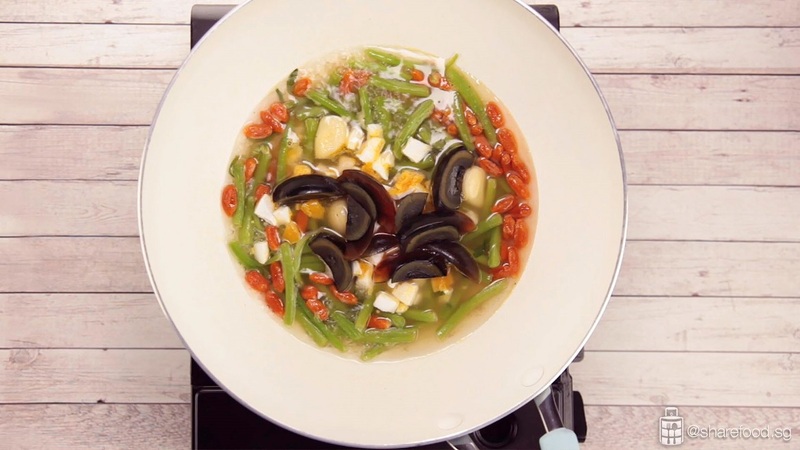 In this recipe, home cook Sharon prefers Ikan Bilis stock because it gives an intense flavour. Chicken stock offers a lighter and cleaner taste. Perfect for any occasion and goes great with rice! 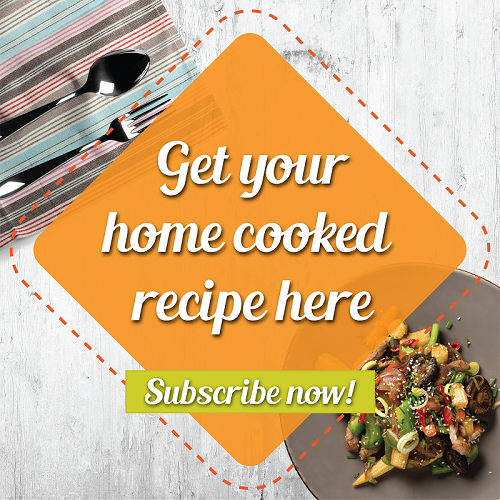 Replicate this simple recipe and serve it up to your family and friends. 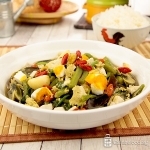 A flavourful and comforting egg dish that all ages would enjoy! 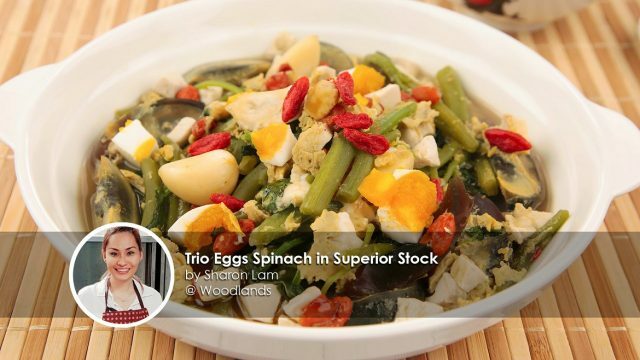 The Trio Eggs Spinach in Superior stock is a combination of century egg, salted duck egg and fresh chicken egg with Chinese spinach. Perfect for any occasion and goes great with rice! Remove the fibrous layer of the stem. Cut it into 1 –1 ½ inch length. In a wok, bring the stock to boil. Add in wolfberries and garlic. Cover and boil for 1 minute. Add in the stems, season with sugar, salt and pepper. Cover and simmer for 1 min. Add in century egg and salted egg, cover and simmer for 2 min. Add in the leaves, cook till the leaves wilted, about 2 mins. Lastly, add in the beaten egg and allow it to set. Transfer to a serving plate, drizzle ½ tsp of sesame oil.